An e-book will be available by 21st June. What’s now under consideration is that the chapters of this book should all be published online, to increase readership. This publication would take place after the same sort of group review that preceded the publication of the first book in the Transpolitica series. It remains to be decided which themes will have most focus in this new book. Ideally, topics from the first book which are generating the most reaction will be revisited in the second book. Finding and supporting a discussion forum (Reddit?) in which these chapters can be collaboratively debated. 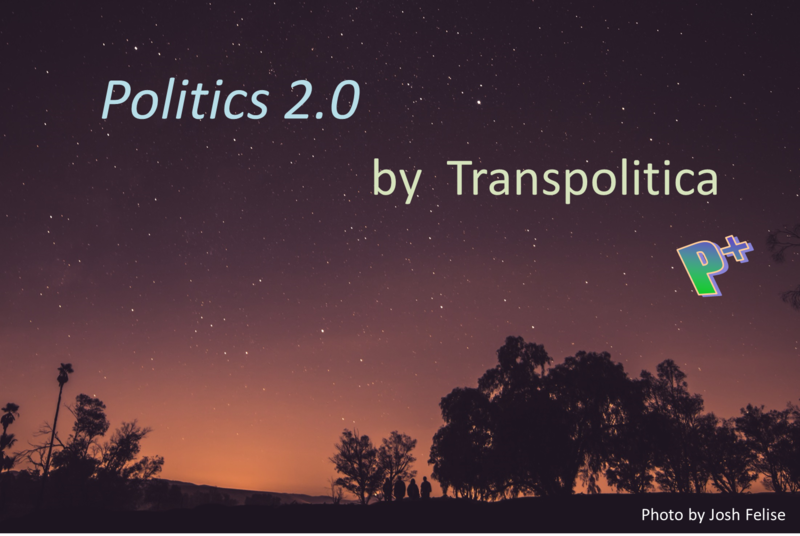 The Transhumanist Party in the UK has published, on its own forums, a series of initial thought-pieces covering policy areas such as defence, economy, education, environment, the EU, foreign policy, health, judicial, political reform, and social. Transhumanist Party members will be revising these draft policy documents ahead of presenting them for formal approval at a forthcoming general meeting of the party. 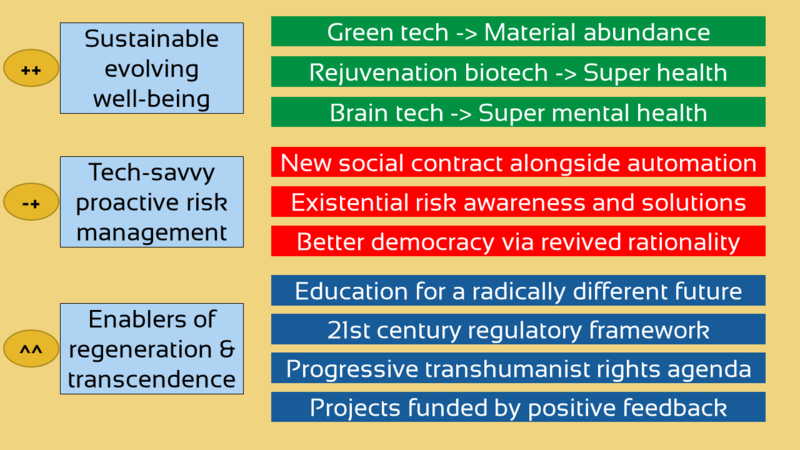 Although some of the policies under discussion have a UK-flavour, most of them are likely to be relevant to other transhumanist political parties around the world. A good project for Transpolitica supporters would be to review one or more of these draft policy documents and provide brief, measured feedback on these documents. Members of the Transhumanist Party will then have the option to consider including some of the ideas arising in new versions of the policy documents. Note: to join the UK Transhumanist Party, or to make a donation to support the work it is carrying out, see this link. We also need videos that take these ideas from a static display into something more dynamic. This entry was posted in News and tagged books, manifesto, politics, Transhumanist Party, Transpolitica by David Wood. Bookmark the permalink.